What is the Sugar Test for Diabetes? The HBA1c is an important test in monitoring your diabetes. The test results show your FastMed medical team an average of your blood sugar control over a 6 to 12-week period. These results are reviewed in conjunction with your home blood sugar monitoring results. When there is too much sugar in your blood, it attaches to the red blood cells that care oxygen (hemoglobin) and becomes glycated. The average amount of sugar in your blood can be determined by measuring your hemoglobin A1c The amount of hemoglobin A1c will show the last several weeks of blood-sugar levels, typically for a period of three months. 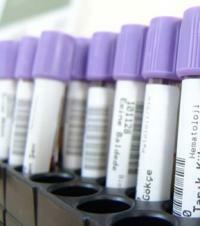 If your glucose levels have been high over recent weeks, the results of your hemoglobin A1c test will be higher.